So, by the time students reach their final year of medical school, they can finally see the light at the end of the tunnel. The focus is on a bright future in a career that will be a good fit, rewarding and fun! The to-do list in fourth year can be a bit daunting, but there are many resources to help students navigate the residency application and placement process. Matching for residency involves a few big pieces. Here are the typical benchmarks, but everyone is a bit different and many variations work well. Decide on a specialty. It helps if you can accomplish this by the end of your third year. Your choice for electives should first serve this goal. Take "strategic"electives in your specialty, which yield letters, grades, and narratives that support your application (summer and early fall). Apply to residency programs via the Electronic Residency Application Service (ERAS) in the summer of your MS IV year. Apply to the National Resident Match Program (NRMP), San Francisco Match Program, Military and Urology Match Programs during the summer. Interview Season is generally in November through January. Take USMLE Step 2 exams by December 1 of MS IV year. Note: Some students may choose to take it earlier to bolster applications. Match for a residency. 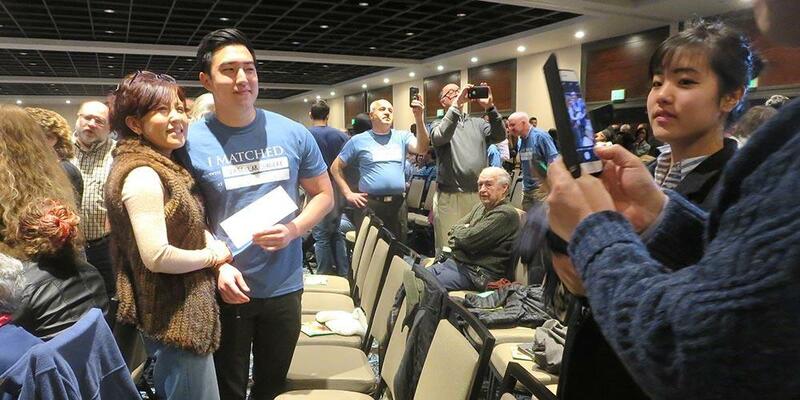 December for military, January for urology and San Francisco Match programs, March for NRMP. Consult your Residency Advisor: You should consult with your advisory dean regarding your plans. This is the person who will guide you through the process. Meet with the Specialty Advisor(s) to get advice regarding residency choice, specific residency programs in the specialty, and the rank order list. Meet with your Medical Student Performance Evaluation (MSPE) a.k.a. "Dean's Letter" writer. Talk to the department chair, residency director and/or faculty of the specialty you have chosen. American Medical Association's Fellowship and Residency Electronic Interactive Database Access (FREIDA). Through this system, students are able to print lists of residency programs; i.e. a list of Family Practice programs in the northeast. FREIDA Online is a free service and is available through the AMA. AMA Graduate Medical Education Directory The directory is the book version of AMA-FREIDA. Copies are available in the Library and the Student Affairs Offices (Syracuse and Binghamton Campus). Information regarding the purchase of your own copy of the book can be found on-line. However, this information is available for free on the AMA FREIDA Online website (see above). Check the program websites - most residency programs have websites that provide information specifically for residency applicants. If information is not available online, call or write to the program to request infomation (the best time to start is after July 4th). After reviewing information on programs of interest, narrow your reaches, 1/5 should be "safety" programs, and the remainder should be a good fit as far as competitiveness for the specialty, but aim to get more interview offers that you intend to accept so that you have some choice in where you interview. Attend meetings sponsored by the residency program directors and student organizations. Meetings are typically in the spring. You will get email notifications. Schedule an appointment with department chairs, program directors and specialty advisors to discuss options. Visit physicians in the specialties in which you have an interest to see their practices. Use the Careers in Medicine website. Residency Programs are listed by the National Resident Matching Program as Categorical, Preliminary and Advanced. Programs in a specialty that meet the specific requirements for that specialty. Although training contracts or agreements are made annually, the categorical program usually provides the appropriate number of years of training to satisfy certification requirements (3 years of Medicine, 3 years of Pediatrics, 5 years of Surgery) see Table 1. Categorical programs in primary care medicine and primary care pediatrics that begin in the PGY-1 year and provide the full training required for specialty board certification. Offers one or two years in a general specialty. Preliminary programs are of three types: Surgery, Internal Medicine or Transitional. The first two are self-explanatory. The Transitional program provides graduates with an experience in several specialty rotations before entering training in a single specialty. The Transitional year residency is limited to one year. (Example: Anesthesiology or Psychiatry wants you to complete one broad-based year of training before entering their specialty). The Transitional year would give you four months (or six months) of Medicine, two months of Surgery, two months of OB/GYN (or Pediatrics) and two months of Psychiatry. Exact rotations in the Transitional year vary among hospitals. Finally, sometimes a preliminary year can be obtained by special arrangement with specialties not listed as preliminary (Pathology, Pediatrics and OB/GYN). The Transitional programs are the most competitive, followed in descending order by Internal Medicine and Surgery. Programs that have arranged positions through NRMP for the second year of training (PGY-2) rather than the first post-graduate year (PGY-1). The specialty's first year of training begins in the second year residency or later. For many of these programs, students will need a PGY-1, preliminary year appointment, in addition to their specialty career choice, which begins one year after graduation. Programs that are reserved for physicians who have had prior graduate medical education. Reserved programs offer PGY-2 positions that begin in the year of the Match and thus are not available to senior medical students. The various types of residency programs are diagrammed in this figure. The length of each bar is the period of years of training required for certification by the various Specialty Boards. These are unofficial assignments derived from currently published materials and are offered only for information. Applicants should consult the Graduate Medical Education Directory . Source: NRMP Applicant User Guide. Last Modified: September 10, 2018. Contact Chris Liberty with questions about the content of this page.